sia 7240 siacarat 150mm diamond abrasive discs Ð a brilliant solution when the progress is slow and difficult. The premium product from sia abrasives for achieving surfaces of lasting perfection on any object. The innovative siacarat velvet abrasive is the key solution to the hardest materials in the Automotive, Marine and Solid Surface sectors. Ð including the latest generation of scratch resistant coatings. The ingenious velvet technology combines the refined velvet net backed abrasive with a special foam cushioning to equalize application pressure and the well proven siafast fastening system. 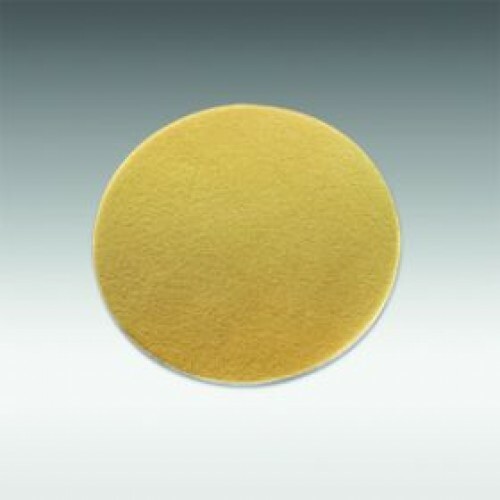 The result is a three dimensional abrasive satisfying the highest demands of quality. To perfect this powerful combination, siacarat velvet involves coating with diamond grit minerals for efficient matt finishing at the highest level. The main benefit of this innovation is the astonishing lifetime Ð up to 40 times* compared to a conventional abrasive. 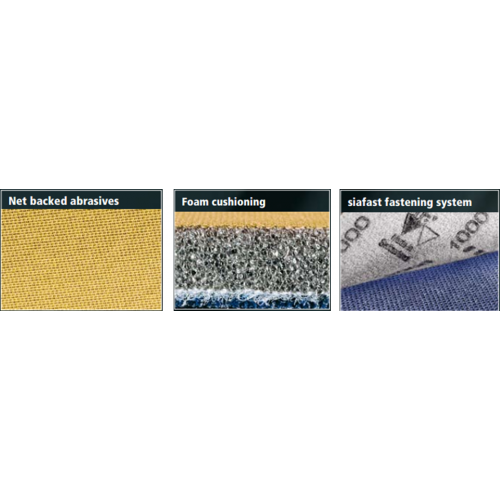 siacarat velvet is a product of sia abrasives, head-quartered in Frauenfeld/Switzerland.The sia Group ranks among the worldÕs top three suppliers of professional abrasive systems.